Syrian air defenses repelled an Israeli air raid into its territory, successfully intercepting seven missiles fired by incoming F-16 fighter jets, the Russian military said. No damage or casualties on the ground were reported. The attack occurred at 1:32pm local time on Sunday, the Russian Defense Ministry said. Four F-16 Israeli fighter jets were flying above the Mediterranean Sea as they launched guided missiles into Syria, targeting the “international airport, southwest of Damascus,” the military officials explained. Syria’s Pantsir and Buk air defense missile systems were used to shoot down Israeli rockets and knocked out seven of them. The military added that there was no damage done to the airport and no casualties on the ground. A Syrian military source earlier told state media that the army “thwarted” an Israeli “air aggression” against the country. The Israeli Army said on the same day that they had intercepted a rocket launched at the northern Golan Heights, without specifying where the rocket came from. In recent years, Israel has conducted multiple air raids on Syrian territory, striking alleged Iranian-linked targets. Not all attacks reported by Syria were subsequently confirmed by the IDF. Officials in Tel Aviv have accused Iran of using its ‘proxies’ on the ground in Syria to undermine Israeli security. Damascus has repeatedly denounced Israeli airstrikes, stressing that they constitute a rampant violation of its state sovereignty. Russia has joined Syria in condemning Israeli operations. 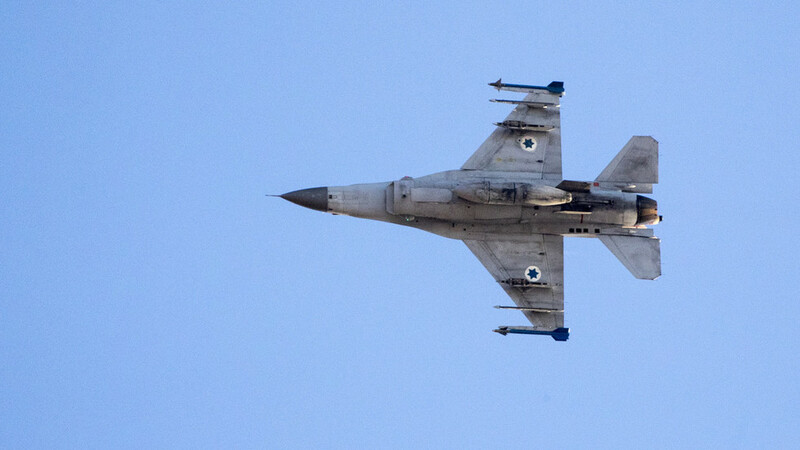 Officials blasted the IDF raids as reckless acts that endanger civilian flights in the area. Last year, Damascus received a batch of Russian S-300 air defense systems, which was supplied by Moscow in response to the downing of the Russian Il-20 reconnaissance plane in Syria on September 17. The aircraft, with 15 servicemen on board, was mistakenly targeted by Syrian air defense units. Russia said the tragedy occurred because an Israeli F-16 jet used it as cover during yet another raid on Syrian targets. Israel, however, denied any wrongdoing and attempted to shift the blame to Syria and its ally, Iran. Moscow still insisted that actions of Israeli pilots led to the tragedy. Moscow and Damascus had a longstanding S-300 contract, but the supply of the system had been frozen for years due to concerns by the Israeli side. Sick puppies what IDF is doing to Syria, Watch out new Lebanon campaign. And not a word from the media. They are beyond sick and it is extremely to see the same symptoms overtly on display in Foggy Bottom... Westminister... Ottawa... Berlin... Paris... etc. The tentacles of the octopus have spread globally. The only saving grace is that their secrets are not so secret anymore. On January 20, the Syrian Arab Air Defense Forces (SyAADF) repelled an Israeli airstrike on positions south of the city of Damascus. The Russian Defense Ministry said that 4 Israeli F-16 warplanes launched 7 missiles at the Damascus international airport from the direction of the Mediterranean Sea. The SyAADF shot down the missiles with its Pantsir-S1 and Buk-M2E systems. Following the incident, the Israeli Defense Forces (IDF) announced that its Iron Dome anti-rocket system had intercepted a projectile over the occupied Golan Heights. Later on the same day, the IDF carried out another strike on the outskirt of the Syrian capital of Damascus claiming that it is aimed at Iranian Quds Forces. The IDF claimed that it had targeted munition storage sites, a military site, an Iranian intelligence site and an Iranian military training camp. The Israeli strike destroyed a Syrian Pantsir-S1 air defense system. According to Syrian sources, the IDF launched over 50 missiles. The Russian military said that Syrian forces had intercepted at least 30 cruise missiles and guided bombs.